Is It Any Good? Scooby-Doo (2002) – AiPT! Scooby-Doo has been around for decades. Scooby-Doo has been around for decades, starting with the 1960’s animated TV show. It became a huge hit and has since become something that everyone knows about. 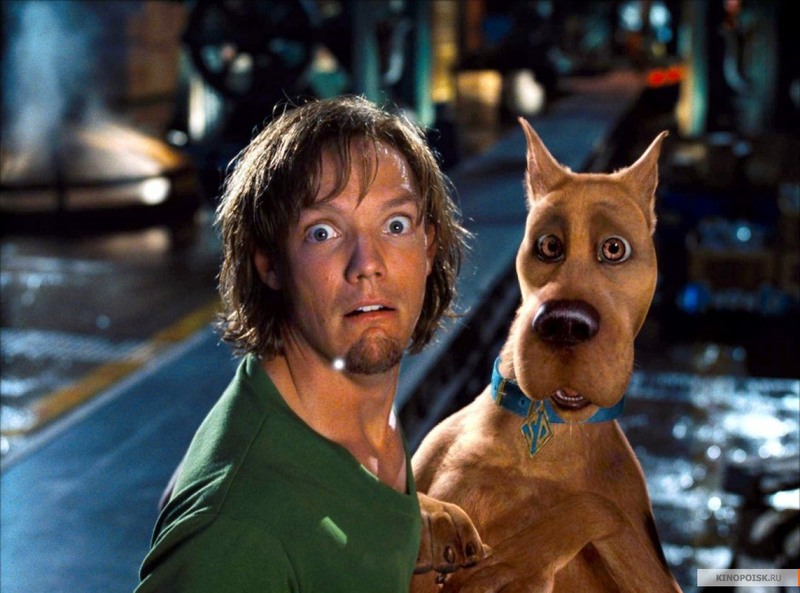 Part of the reason current generations are familiar with Scooby and the rest of Mystery Inc. is due to the different TV reboots and film adaptations, this 2002 live action film being one of them. I grew up on this film, and remember loving it, but sometimes your view and/or level of enjoyment of a film can differ from when you’re young to when you grow up. I wanted to test that theory, so I rewatched this recently, and while I didn’t enjoy it as much as I did during my childhood, I don’t think it’s a total stinkbomb like a lot of critics do. So let’s jump right in and see how this film treats the Mystery Inc. gang. We start out at a factory where the gang is solving a mystery, but unfortunately this ends in a bad fight between them all, resulting in the group breaking up. Fast forward two years where they’ve all been invited to a popular getaway for college students, Spooky Island. The owner of Spooky Island has become increasingly concerned about suspicious and frightening changes in the students behavior. And just like that, we have yet another mystery for the gang to crack. There’s something really interesting about this film: it’ll do something really good, but then it’ll turn around and do something that falls completely flat. There isn’t a consistent tone throughout. So as you’re watching it, you’ll be like wow that really worked, but then you’ll be shaking your head. If I’m being completely honest, the sins of this film are the ones most films of this type end up committing. I wanna first break down and go over the sins, then we can do the blessings that are offered up. The biggest one is of a scatological nature. I expected there to be some middle school type humor, but, wow, there is one scene in particular that really stretches it way too far. I personally don’t find burp and fart jokes to be funny, I think it’s a cheap tired way to try to get laughs. With that being said, if they wanted to include one small one or maybe two, I could deal with that, but it was just really sad to see that take up an entire scene. When I saw that, I was thinking how lazy can you get? Is this how you’re going to try to make the audience laugh? And while that isn’t the only kind of humor, it takes up a much larger portion than it should. So what other sins are committed during the hour and 20 minutes? Well that hour and 20 minutes itself is something I’m not a fan of, meaning that I felt like it was too short and by the end I wanted to see more. Now maybe if they’d filled that length with better and more intelligent comedy, I wouldn’t have felt that way, but nonetheless I did. Now, I do want to say that there are a few jokes that work, but the ratio of jokes that are cheap or just unfunny to one that are good doesn’t fall into the plus category. Ok so let’s get into the blessings. When thinking about the biggest positive, the casting came out on top. The cast members really are the classic characters come to life. Gellar, Cardellini, Prinze Jr., and Matthew Lillard are all so spot on with their portrayals. Honestly, Lillard is the best, it’s almost unbelievable how perfect he is as Shaggy, but they’re all great. Another thing that worked here was the atmosphere as they used their surroundings well. The castle scenes were probably the best in the entire film, and had a very Scooby-Doo vibe to them. Speaking of Scooby, he is done very well and had the proper character and energy about him. Another detail that I liked was the chemistry they all had. I’ve mentioned that they were good individually, but I don’t wanna leave out the working chemistry they were able to have as a team. So that’s about it when it comes to the 2002 film adaptation, Scooby-Doo. It’s pretty average overall, not great, but certainly not terrible. Scooby-Doo (2002) has both ups and downs, it's average at best. Nothing too special, but nothing atrocious either.